Two completely connected people, who know each other so very well, and now have decided to make it official! Blend your two families onto one perfectly created family crest! 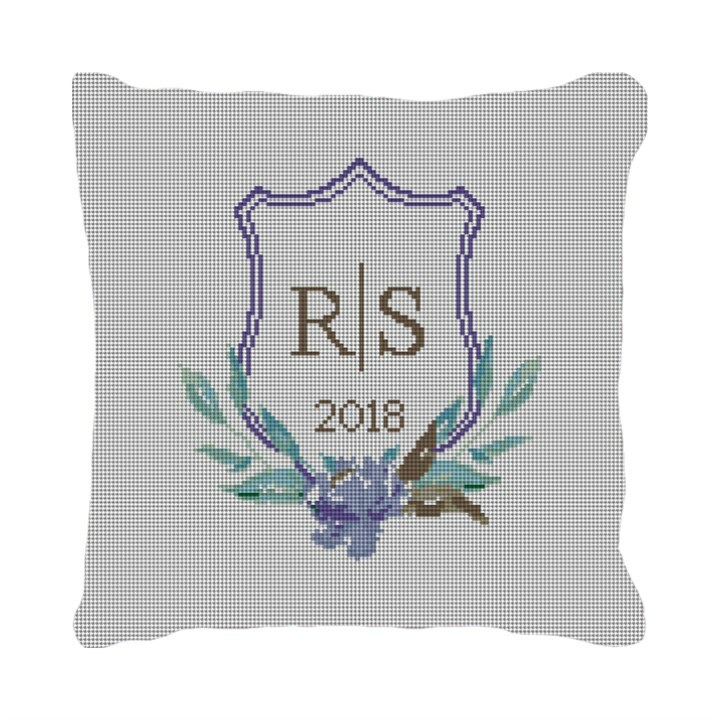 Stitch this wedding crest ring bearer wedding pillow canvas for the upcoming wedding ceremony, or for a special family keepsake. A heartfelt gift that will remind the happy couple, "how very special they are". Completely customizable with your wedding colors and monogram.